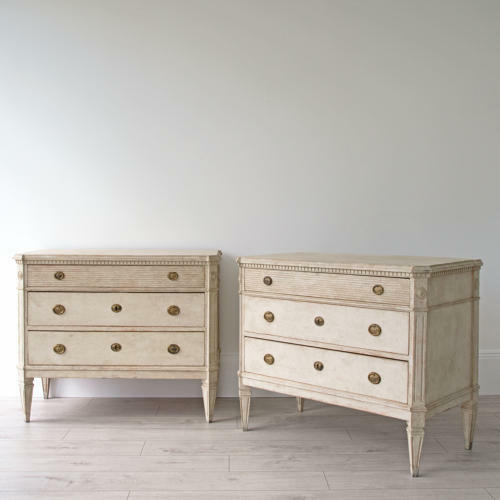 A wonderful pair of antique Gustavian style chests in beautiful soft cream patina. Perfect for bedsides. Featuring canted & fluted corners with decorative round motifs, dentil tooth frieze over a horizontal reeded top drawer, and elegant square tapered & fluted feet. Restored. Swedish circa 1880.